Westminster Memories is the gathering of community sites from around the borough to express what it is that is unique about our area. The sites will allow the people of Westminster to engage with their present and remember their past. Through the creation of community websites we can share our thoughts, memories, stories and events and celebrate the area we live in. Our websites are open to all people of all ages and the sites are a forum for you to express your views, share your feelings and become part of the community. 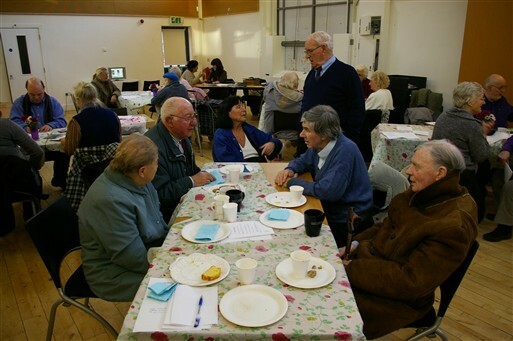 In September 2009 external funding allowed Church Street Memories to be launched over a six month period. Further funding to maintain the websites has been provided by Westminster City Council. It is hoped that over the coming months and years we will add to the project to plan an umbrella network of sites for the borough. This is the very first website to be launched under Westminster Memories and has been received with huge enthusism and support. Through our local history group and the support of our local library and Neighbourhood centre we were able to capture the living memory for generations to come. The second of our community sites to come into existance, it builds on a strong and established appreciation for the area which locals hold dear. At the very heart of popular imagery of Westminster it's bright and vibrant culture will be captured for a wider audience to enjoy.